Franco Monzio Compagnoni was founded in 1954 and was initially known as F.lli Monzio Compagnoni. The company consisted of the Monzio Compagnoni siblings: Severino, Franco, Alessandro, Emilio, Alberto and Giacomina, with the cooperation of their father Arturo. The company followed a family tradition that in the 1920s saw the creation of the Alessandro, Natale and Giovanni Monzio Compagnoni firms. In these factories, the Monzio Compagnoni brothers learned the art of wood inlay and techniques for the production of Italian luxury furniture. 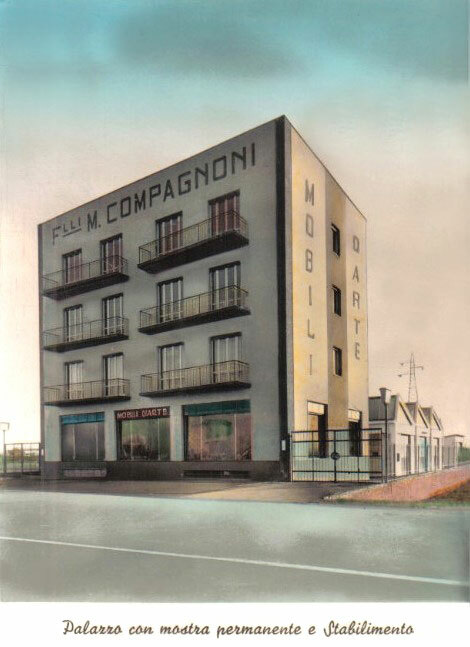 Between 1954 to 1959 the firm developed rapidly, expanding and and moving from its initial workshop to a new site at 27 Via Milano 27 in Treviglio, the current location of Franco Monzio Compagnoni. Since the early years, Franco Monzio Compagnoni has demonstrated and consolidated its vocation for the export of its luxury Italian furniture, reaching 73 countries by the end of the 1960s. In 1971 the company was completely redrawn by Franco, who turned it from F.lli Monzio Compagnoni to Franco Monzio Compagnoni, in which his sons, architect Claudio and Eros, also collaborated. Gradually, it has gone from production in series, albeit of high quality, to diversified production for each customer (custom made) for both décor and single-piece furniture of great prestige, thus becoming one of the Italian luxury furniture manufacturers with the highest quality products worldwide. Beware: Franco Monzio Compagnoni is as unique as its brand. Due to the high quality of its products in recent years some have tried to identify themselves as Franco Monzio Compagnoni or used the generic name Monzio Compagnoni, always contradicted by the low quality of the furniture they produce. Nowadays, Franco Monzio Compagnoni is a leader in the production of luxury Louis XVI furniture pieces, furniture whose main representative was Giuseppe Maggiolini, a cabinetmaker who is appreciated throughout Europe. The company is also a leader in the production of luxury Boulle-style furniture, which in this case is also named after the first cabinetmaker who made it, André Charles Boulle. This furniture was typically made of brass, tortoiseshell, mother of pearl and possibly other metals such as copper and zinc. Semi-precious stones such as malachite or lapis lazuli were also used. The original materials are still used for each faithful reproduction. 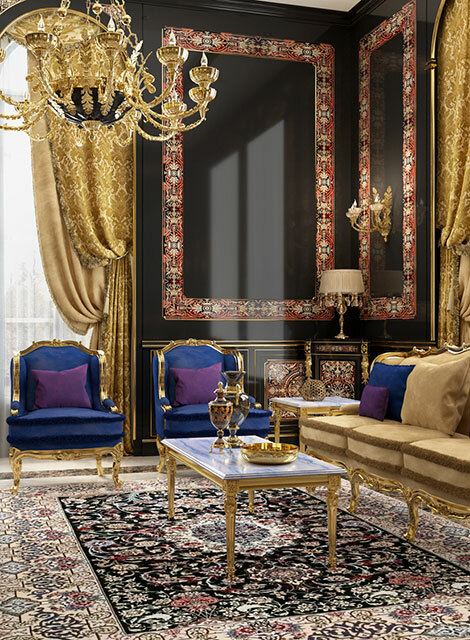 Franco Monzio Compagnoni is also a manufacturer of luxury Louis XIV and Louis XV furniture, as well as Napoleon III style and Empire style pieces. The shapes and inlays that characterize these products are drawn from original designs and are faithful copies of antique furniture in museums and private collections. 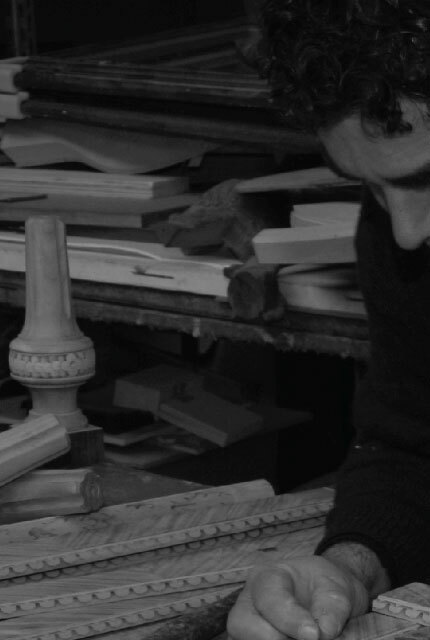 Thanks to the experience and mastery it has acquired, today Franco Monzio Compagnoni also deals with the restoration of prestigious furniture from the 1700s and 1800s, using the techniques of the period to restore furniture to its original splendor. Franco Monzio Compagnoni has participated in 17 Salone del Mobile exhibitions in Milan, and received various awards, including the Ferrandi Prize for the best inlay. It boasts of being one of the historic wood companies in the international market and of only realizing luxury Italian furniture with precious woods and materials such as bois de rose, rosewood rio, ebony, brass, copper, zinc, mother of pearl, malachite and lapis lazuli. For the customer, they are an investment in the future, starting from a single piece to the furnishing of a private home, office, hotel or exclusive yacht. Each piece of furniture is personally monitored by the Monzio Compagnoni family and approval of the final product is always signed off by a Monzio Compagnoni. During the 1970s and 1980s, the company furnished numerous embassies, especially on behalf of the Tunisian Republic in Poland and other countries. In 1986 it started furnishing hotels, producing the boiserie and furnishings for the restaurant of the Grand Hotel in Rome. In 1990, Franco Monzio Compagnoni, through Studio Schmidt of Lausanne, was awarded the role of creation of luxury furniture for the Rolex Offices in London, located in a building built by the Adam brothers. Thanks to English environmental constraints, all the furniture was reproduced in Adam style, the style of the famous British architects. In the same year, it supplied furnishings to Hotel Elio Cabala in Marino, then the retreat of the Italian national soccer team at the World Cup. Its next projects was the furnishings of the Hotel Principe di Savoia in Milan and the Hotel Duca in Milan (now part of the same Principe di Savoia), Hotel Locarno (now part of the Westin Palace in Milan), and the St. Regis Hotel in Florence. In 1991 the company was entrusted with the prestigious renovation of the Grand Hotel of Milan, including the Giuseppe Verdi room, where the famous musician died. Legend has it that in Via Manzoni, where the Hotel and the Scala Theater are located, coachmen covered the hooves of their horses so as not to disturb the great master as he lay dying. In collaboration with Massimo and Maurizio Papiri, Philip Starck and other famous architects, Franco Monzio Compagnoni constructed Lukoil's Moscow offices in Moscow and the offices of Jaber III Al-Ahmad, Sheikh of Kuwait until 2006, as well as furniture for the Sultan of Brunei, and the Libyan government's People's Committee meeting room in Tripoli. Recently, Franco Monzio Compagnoni was also the luxury furniture manufacturer for the Antibes Villa of King Salman bin Abdulaziz Al Saud.